I was working on the “Wheatfield” Civil War painting and yardwork and many other items. A little hike was in need since the day was pleasant and rain was coming later. 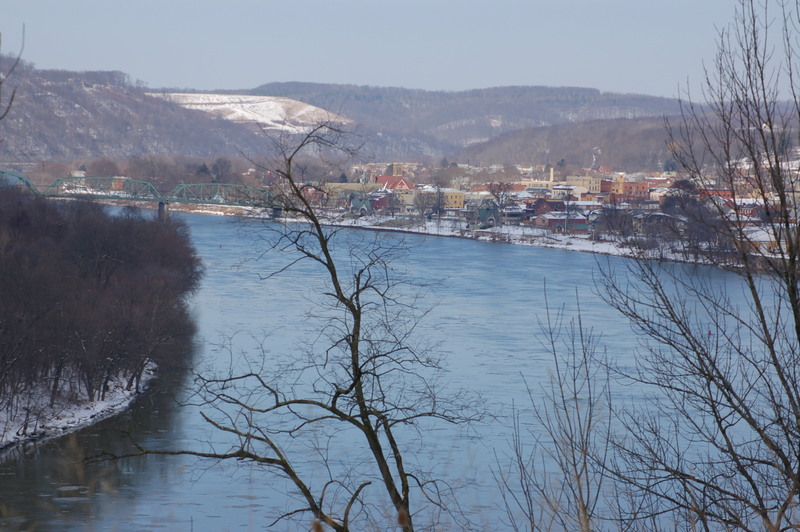 I chose to walk south of Kittanning, Pennsylvania along the Rails to Trails. The trek would continue up and over to a mile long wood lot. I saw about six or so walkers and one biker on the trail. Also, I could easily observe that the river is still rather high, being slow to recede. I didn’t see any waterfowl on the waters this day. Of course, I always keep an eye for the white of an eagle’s head. The green up of spring has been started for all of those willing to observe. The travels would locate a number of various flowers in their “rosette” stage of growth. 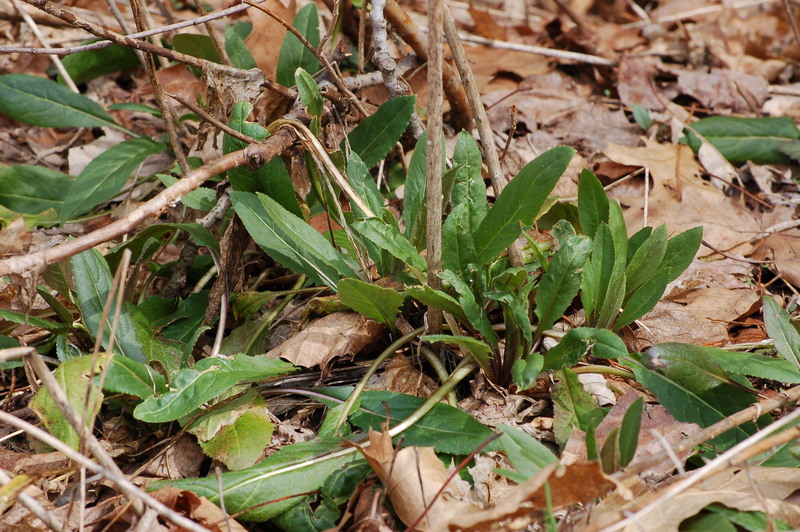 A rosette is a cluster of leaves of certain flowers visible at ground level. Often a dry stalk from last year may be present. The specie I saw this day were the common mullein, garlic mustard, teasel and Dame’s Rocket. I, also, saw lots of wild onion here and there. The mullein, at this stage, has a very velvety gray-green set of leaves at ground level blooming in summer. 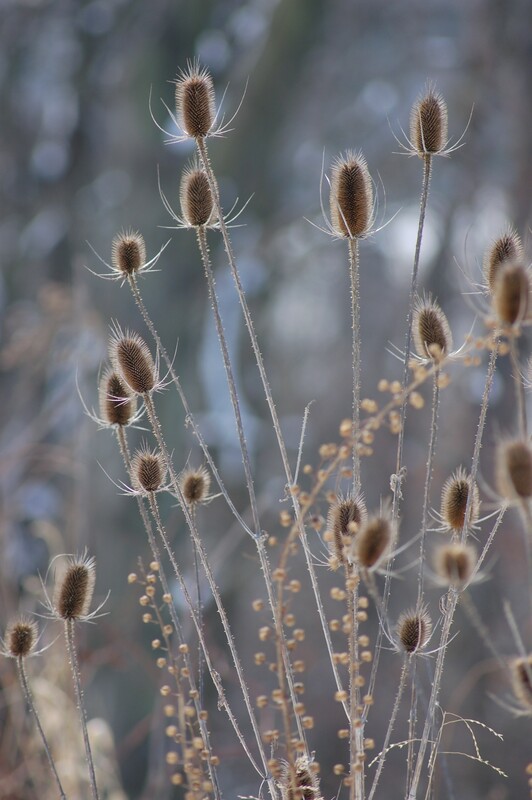 The teasel is often used by dried flower arrangers. The blossom dries into a oval-shaped mass often spray painted and used for decorating. The garlic mustard is an invasive plant seen in mass in early spring with white flowers. I have eradicated them at my landscaping by about 95%! The “Teasel” is often used in dried flower arrangements. Arrangers will often spray paint them. Be careful when handling them for the dry flower has some slight spikes. Wildlife was abundant this hike. 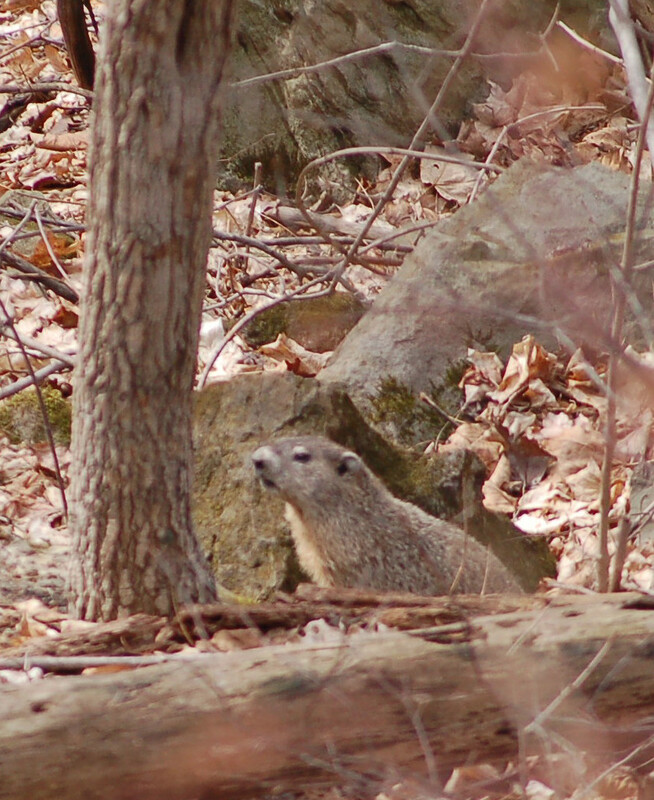 I saw chipmunks; ground hogs (woodchucks); and plenty of bird life.